The Seacoast Science Center located at Odiorne Point in Rye, N.H. is dedicated to helping people from near and far learn about the ocean. Through interactive exhibits, tanks with all sorts of sea creatures, educational programs and marine mammal rescue, the Center works to educate everyone about why a healthy ocean matters. Since its opening in 1992, the Center has become a vital part of New Hampshire’s culture. Over 80,000 visitors and more than 27,000 students from throughout New England visit each year. In 2010, NBC’s TODAY Show chose the Center as one of six “Lend a Hand Today” recipients – the only environmental education institution chosen that year. The Center has had the advantage of a highly committed Board of Directors combined with a seasoned President in Wendy Lull, who has been at the nonprofit’s helm since its start 24 years ago. In 2014, the leadership team decided it was time to review how the organization operated in order to improve financial stability, clarify areas of responsibility across the organization, and extend the Center’s reach within the Seacoast community. “We have been very fortunate to have had so many committed people working with us for a long time. But that can also mean that the way we started doing things years ago is no longer the way we should continue to do them. That applied to me as well. As President, it was up to me to set the tone for taking fresh approaches to improve our performance. The first step was to ask for help outside the organization, and we found just what we needed in the ESC team and approach,” says Lull. The Center’s leadership team engaged Executive Service Corps (ESC) to conduct a review of its operations. Over an eight-month period, ESC’s team of consultants worked closely with the Center to investigate nearly every corner of the nonprofit and develop a comprehensive nonprofit business plan. Some of the key activities during the project included in-depth interviews with the Center’s Board and staff for a SWOT analysis (Strengths/ Weaknesses/ Opportunities/ Threats) and a PESTEL (Political, Economic, Social, Technological, Environmental and Legal Factors) evaluation. In addition, the project team conducted extensive interviews with seven nonprofit science museums in New England to develop a “Best in Class” business model for a science center. Based on this research, ESC developed a set of detailed recommendations. These ranged from how to improve marketing messaging, create more effective fundraising campaigns and better target potential donors to ways to reorganize staff and improve financial operations with better tracking of visitors, members and donors. The business plan has had a profound effect on the Center’s operations. For example, an organizational change has aligned the three groups responsible for teaching at the Center under a single manager. This has increased communication and coordination between these groups, leading to shared learning goals for programs and exhibits and eliminating functional silos. To improve communication across the organization, the executive team met with each staff member. “We found this enormously helpful because we learned how staff member’s jobs had changed and where they might need assistance with adjustments in responsibilities, titles and pay. We will make these conversations annual activities because they give us a better understanding of each employee’s work experience and work load. This helps us continue to make changes to advance the organization. It’s fair to say it makes us more effective leaders,” says Lull. As for CPI, it has become an integral part of day-to-day operations. “It would be hard to find a place where it hasn’t helped,” says Lull. For example, the Center has revamped its processes for categorizing and tracking grants and large donations. Staff members involved with these income sources collectively reviewed every step in the process, looking for missing links and bottlenecks. Once they agreed on a simpler and more streamlined process for categorization and tracking, the team documented the procedures. Designing and implementing an orderly, accountable process has eliminated confusion and increased efficiency from the time the grant is awarded to its final report. It even made for a smoother audit. Most importantly, the business plan has become the instrument to move forward. “The plan did exactly what we wanted it to do. It provided us with a strong operational and functional foundation. We have gained more confidence in our business practices and decisions. And that means we can become a little more experimental because we now have the means to determine how change will contribute to the overall mission of the center,” Lull says. 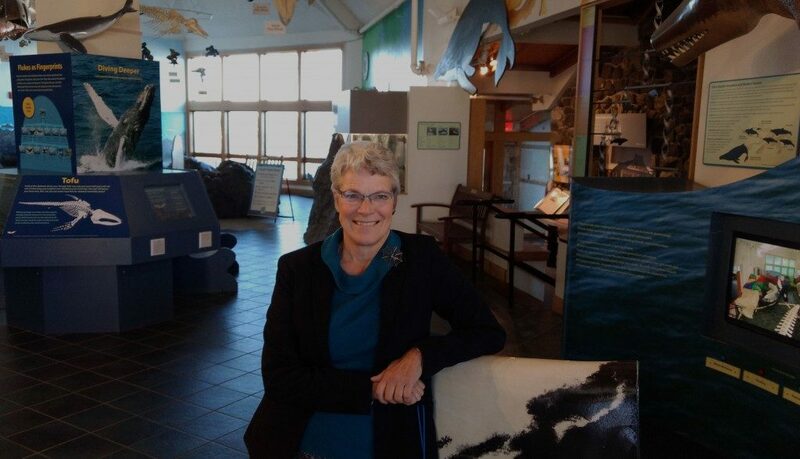 With a solid system in place for across-the-organization operations, the Seacoast Science Center is ready to embark on creating a new five-year strategic plan to define how the Center can continue to be a leader in the New Hampshire nonprofit community and make an even greater contribution to New Hampshire and New England.